Armed police have closed off the A259 in Hastings. 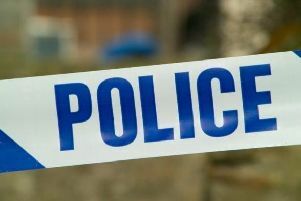 Armed police were called to the scene at around 7.55pm where the A259 connects with Amsterdam Way in Bulverhythe, Hastings, blocking the road. Click here to read the latest on the incident: a shooting. James Butler, a reporter at the Hastings Observer, was one of several drivers forced to stop on the A259 when the incident happened. He witnessed armed police leave their vehicle and go to a black car that had mounted the kerb nearby, and said shouts could be heard. He heard one driver who had ventured too close being told to ‘turn around’ as their ‘life was at risk’ by the armed police officers. Another armed police vehicle arrived shortly afterwards and residents were being told to stay in their homes. A further police vehicle arrived minutes later to get drivers to turn around and drive away. A helicopter was also heard circling overhead, believed to be the police helicopter. A police officer at the scene said the road would be closed for a ‘long time’ while the incident continued.